THE WRITING BUDDHA - Opinions | Books | Movies: 26/11: 7 Years and we are safer than before! 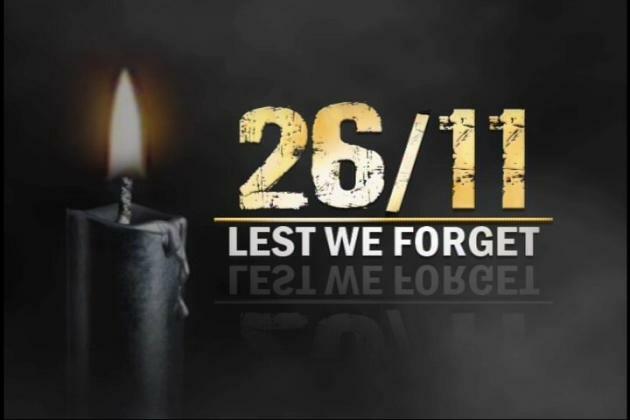 26/11 is the day that most Mumbaikars can never forget. It affected everyone in India but the citizens who have themselves experienced something so brutal still get goosebumps when they start talking about their experience of that day. I was in Nashik during the terrorist attack but by the time one year passed, I was already a 6-months old citizen of Mumbai and I could feel the emotions that each person particularly in that area could feel. In May, 2009, I went to Lamington Road and after doing my work asked a taxi driver to just show me few areas around and finally drop me at CST station. As soon as he started, he asked me if I was in Mumbai during the attacks and I told him that I had shifted just 4 weeks back. He then offered to show me the areas where the attacks had happened. In the next 45 minutes, the way he was narrating the incident made me actually understand what the people who cross those locations every day feels about it. I understood the angst of the people whenever they heard the name "Kasab" and over that how luxuriously he was been treated by our Government. The taxi driver told me how he had crossed one of the locations where firing had happened just 15 minutes ago and felt horrifyingly bad about the people who lost their lives. After couple of years, another blast took place at three different locations in Mumbai out of which one was Dadar station. The very next day my parents were getting back and their halting point was Dadar. The moment I realized this, I was unable to control myself and got so scared that I remember I shivered for 15 minutes just imagining what if such incident had happened when such closest people to me would have been at that particular place. It was the first time when I felt closest to an attack and actually feel the adverse effects of it. It has been 7 years since 26/11 and I can convincingly say that I don't feel that insecure anymore. Now I find Mumbai's security far better than the time I had relocated to this great city of dreams. I can find policemen continuously strolling and even checking bags of people on railway stations whenever they find something suspicious. Many boys are been caught regularly smuggling turtles because of this security check. Many criminals are been caught regularly. Even the attacks haven't taken place as often as it used to take before 26/11. I am not saying that the city isn't prone to attacks. It is. But because the security is so tight and police is doing a fine job, we are actually assured that it's not that easy to look at Mumbai with a wicked smile now. Also Kasab is hanged till death now and this is the most that the victims and their closer ones can get as justice because no one can bring back the same cheerful lives for them. It is been destroyed by those 3 days when few evils attacked our beautiful city and tried to tell us how weak we are. They challenged us and their masterminds celebrated their success sitting in a neighboring country. Almost all of them are caught except few. Though, we, Mumbaikars, have MOVE ON attitude but that's because there's no other options as we have to earn our bread and butter from the next day itself but it does cause fear in everyone's heart. These terrorists have become heartless hence it isn't explanatory to them in any language but we can only hope that our security forces become enough stronger to combat such challenges as quickly as possible. Paris Attack did bring back the fear of 26/11 but we hope that we do not get to hear about any such attack ever again. My prayers for souls who lost their lives and I wish that their family members stay strong and inspired. May God Bless Everyone Who Is Innocent And Punish Everyone Who Is Trying To Trouble The Innocent.